I would like to say that pirates have taken over and our absence is all their fault, but I just can't lie like that! Our families, jobs, life has though. We are always busy dreaming, brainstorming, creating, but not always typing! 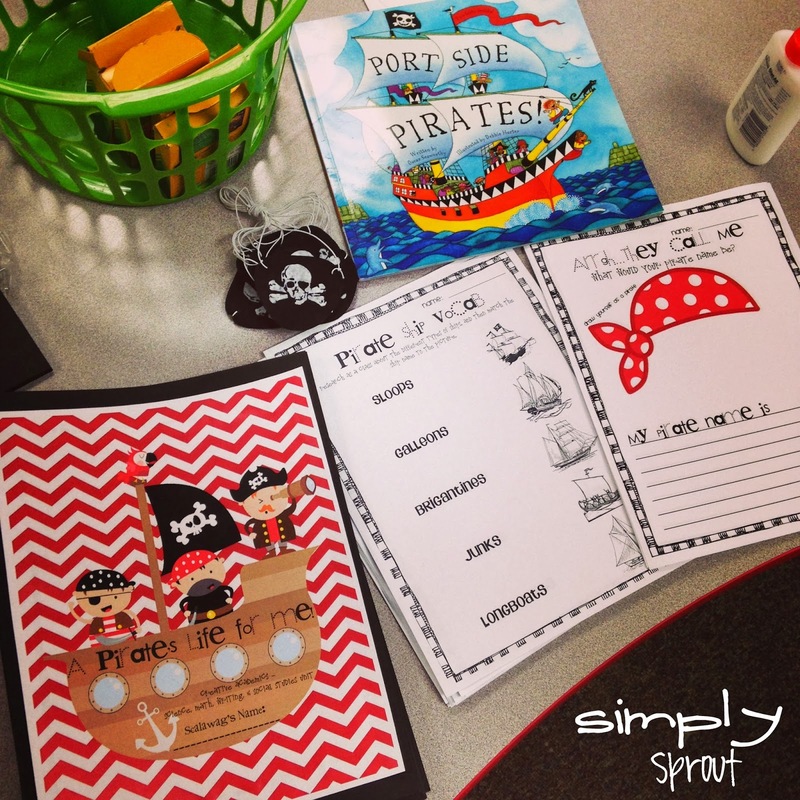 My students are sailing into the new year through a fun and enriching pirate unit. The unit is full of science, map skills, math, vocabulary, writing, social studies, and research. 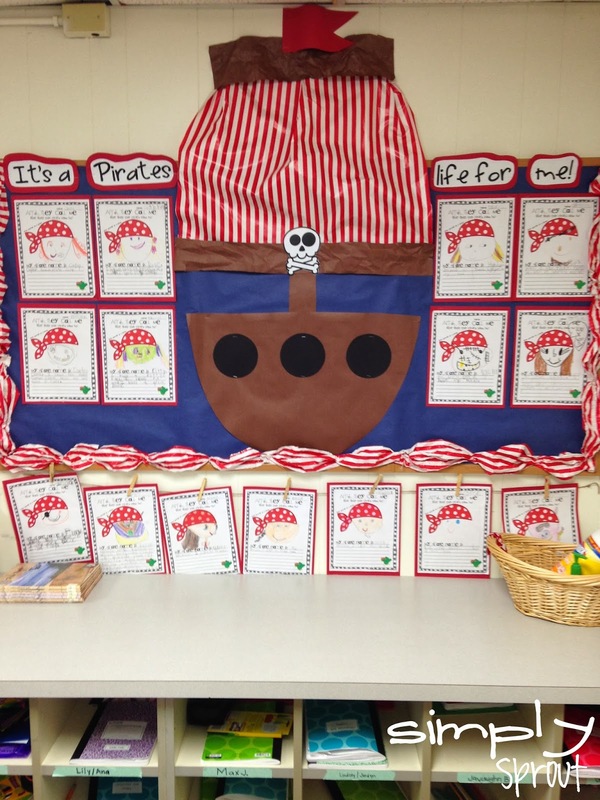 Nothing like a fresh unit and cute bulletin board to renew a teacher's spirit! The unit will be in our store this week, but here is a sneak peek through your spyglass for the time being!